Obtaining the expected level of service is still a top priority for customers. 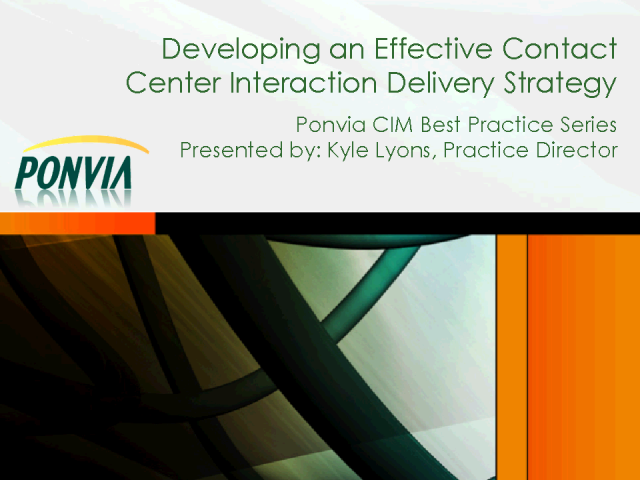 Servicing the customer as expected while maintaining cost is essential for contact centers. An effective Interaction Delivery Model is the starting point to deliver such service to your customer. · What is an Interaction Delivery Model ? · Why an Interaction Delivery Model is essential?